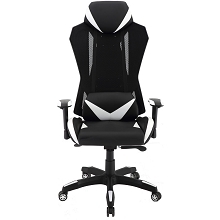 Be fully immersed in your virtual experience with the Commando gaming chair from Hanover. 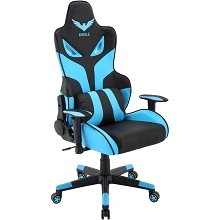 Adjustable seating and thick padding allow you to sit back comfortably while your reflexes remain sharp for hours at a time, perfect for online tournaments or late-night raids. 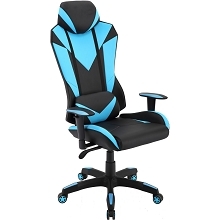 With striking two-tone color, this chair will really pop on stream and have viewers sure of your top notch gaming skills. Don't let a top-of-the-line computer be underappreciated in a run-of-the-mill office chair. 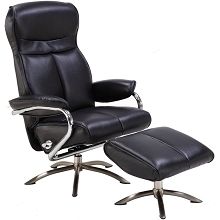 Up your legitimacy with the perfect final touch to your gaming equipment with this ergonomic gaming chair from Hanover. 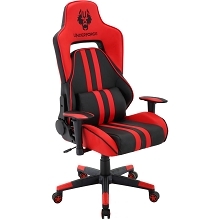 Complete the ultimate gaming setup with this Commando gaming chair by Hanover. 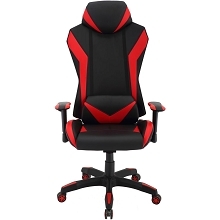 Plush, supportive padding, ergonomic design, and eye-popping color accents make this unique furniture look as great as it feels for hours of gaming. Generously padded headrest and lumbar pillow complement the adjustable seat to allow customization to your body so you can focus without needing a break to stretch. Don't let your gaming be interrupted by chair malfunctions at a crucial moment in battle. 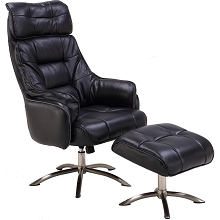 Get the pinnacle of comfort with Hanover's Commando gaming chairs. Settle in for the long haul with this Westin chair from Hanover. 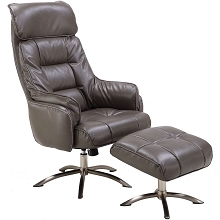 The high-backed chair with cushioned ottoman enables the user to sit back in comfort and kick their feet up so it is possible to truly relax while getting down to business. 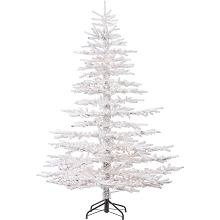 The modern, elegant lines of the piece will look right at home whether in a dedicated office or a work space tucked in the corner of a living room. With ample padding on the seat, back, and armrests, you'll be able to work continuously for hours without needing to readjust, allowing you to completely focus on what's most important: your work. 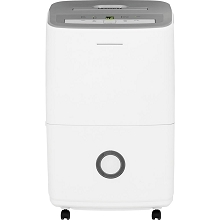 The Westin chair is perfect for business-minded and weekend desktop users alike. 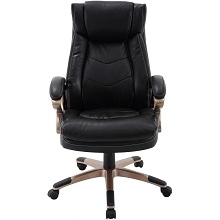 Promote yourself to executive comfort with the Parker office chair by Hanover. Professionalism and style go hand in hand with this body-hugging design that will leave you relaxed through even the toughest of business deals. When you need a breather, just kick your feet up on the included padded ottoman to easily compose yourself before getting back to the task at hand. 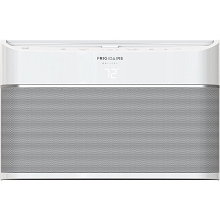 A sleek chrome base completes this chic style fit for any professional or home office setting. 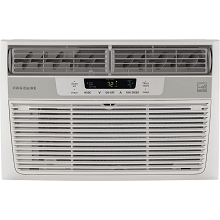 Exude confidence with this beautiful piece by Hanover. 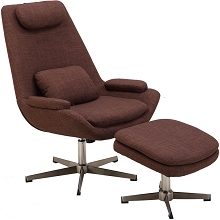 Make stressful work more bearable with the Paterson swivel lounge chair from Hanover. A high-backed, padded chair and plush ottoman allow for kicking back when times get tough but don't distract when it's time to get down to business. 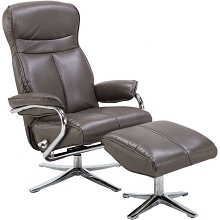 Stay focused on your work without being interrupted by the usual body aches offered by low quality desk chairs. Sleek, modern lines and chrome accents featured on this piece will look perfect in any professional setting, for any level employee. Give off a serious, yet relaxed vibe to visiting clients in this Hanover chair. 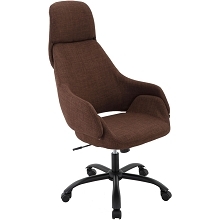 Increase your comfort and productivity in the Everson wheeled office chair from Hanover. With a contoured back and adjustable height lever, you can customize your seating position to your exact preferences to ensure any distraction won't be related to poor posture. A five-wheeled stand makes it easy to glide to a filing cabinet while also being stable enough to hold a stationary position when needed. 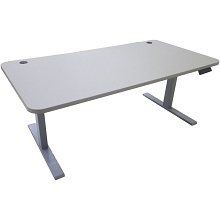 Durable fabric wrapped around gentle padding keeps you comfortable for hours of desk work. Focus on any task at hand with this classic Everson chair. Relax and enjoy your productivity in comfort with the mid-century modern Bowen office chair from Hanover. Featuring a high back, scoop-style chair on wheels, style and function become one in this modern design. 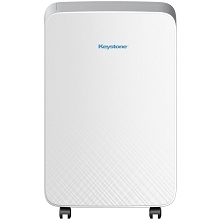 Sturdy caster wheels allow you to glide around your workspace with ease. The gas lift cylinder provides quick and effortless seat adjustments so you can customize the height to your preference. Durable fabric wrapped around gentle padding keeps you comfortable for hours so you can stay focused on your work. 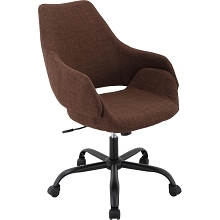 Complete your tasks in style with this trendy Bowen office chair. 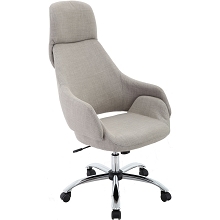 Relax while you work with the Bowen wheeled office chair from Hanover. Featuring a high back with headrest, lounging and productivity become one while sturdy wheels allow you to glide around your work space with ease. 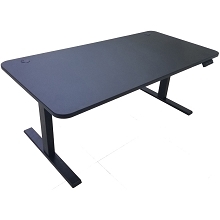 Durable fabric wrapped around gentle padding keeps you comfortable for hours of desk work. 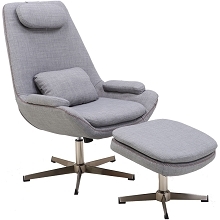 Get lost in your projects and be enveloped in comfort with this Bowen chair. 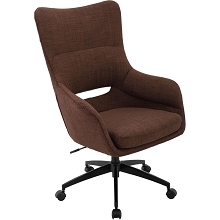 Add a modern flair to your office space with the Carlton wingback office chair from Hanover. 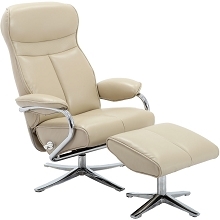 An extra wide backrest adds maximum comfort while also giving the user an executive appearance. The modern chrome base stands securely in place while offering a smooth 360-degree spin and effortless seat adjustments. 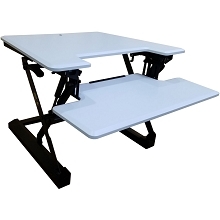 The gas lift cylinder ensures the perfect seat height that's customized to you no matter what desk you happen to be using. The Carlton design can be used outside of the office as well. Its solid, neutral tone fabric integrates seamlessly into most color schemes and works as a nice accent chair that will bring modern vibes to any living room, kitchen, and lounge space. 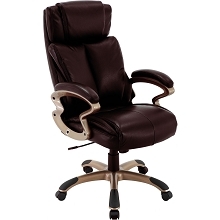 Professionalism, comfort, and style come together perfectly with this trendy office chair from Hanover. 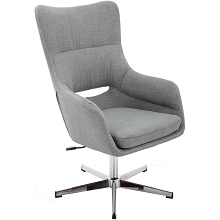 Add a modern flair to your office space with the Carlton wingback office chair from Hanover. 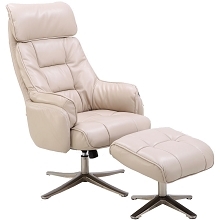 An extra wide backrest adds maximum comfort while also giving the user an executive appearance. The modern chrome base features five caster wheels and a swivel mechanism for a smooth 360-degree spin. The gas lift cylinder ensures the perfect seat height that's customized to you no matter what desk you happen to be using. The Carlton design can be used outside of the office as well. Its solid, neutral tone fabric integrates seamlessly into most color schemes and works as a nice accent chair that will bring modern vibes to any living room, kitchen, and lounge space. 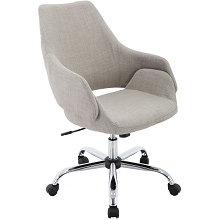 Professionalism, comfort, and style come together perfectly with this trendy office chair from Hanover. Look like a boss and choose an office chair that will keep you cool and comfortable all day long with the Atlas executive office chair from Hanover. Thick, all-over padding is wrapped in luxurious PU leather will make any level employee feel like a CEO. 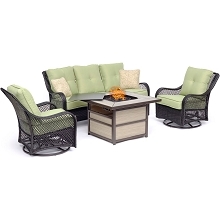 These materials allow you to sink into deep-seating comfort, ensuring hours of relaxed productivity. To top it off, the base of the chair will allow you to swivel and glide from one area to the next so you can reach important documents across the room without missing a beat. Whether its stationed in your office, conference room, or boardroom, this deep-seating chair will make seemingly endless hours of work bearable again with the luxurious Atlas chair from Hanover. 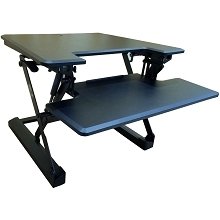 It's time to take a stand against restless legs with this standing desk from Hanover. Relieve yourself from uncomfortable chairs and sitting positions and improve your posture by making a commitment to stand more. 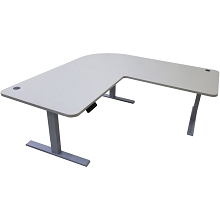 Simply lift the adjustable levers on either side of the desk and position it at the most ergonomically suitable height for your body and you'll be ready to rotate your sitting and standing time as you please. Set up couldn't be easier with a dedicated keyboard tray and space for a widescreen monitor. Prioritize your health while increasing your productivity with Hanover's standing desk series. 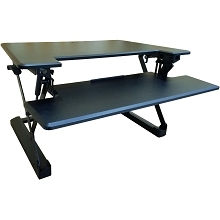 It's time to take a stand against restless legs with this standing desk from Hanover. Relieve yourself from uncomfortable chairs and sitting positions and improve your posture by making a commitment to stand more. Simply lift the adjustable levers on either side of the desk and position it at the most ergonomically suitable height for your body and you'll be ready to rotate your sitting and standing time as you please. Set up couldn't be easier with dedicated keyboard tray and space for one or two widescreen monitors. Prioritize your health while increasing your productivity with Hanover's standing desk series. 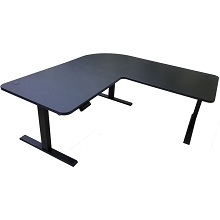 It's time to take a stand against restless legs with this standing desk from Hanover. Relieve yourself from uncomfortable chairs and sitting positions and improve your posture by making a commitment to stand more. Simply use the motorized options and position it at the most ergonomically suitable height for your body and you'll be ready to rotate your sitting and standing time as you please. Set up couldn't be easier with dedicated keyboard tray and space for one or two widescreen monitors. Prioritize your health while increasing your productivity with Hanover's standing desk series. 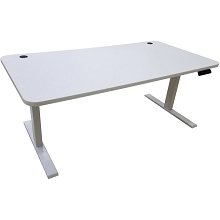 Elevate your entire work space to think on your feet with this L-shaped standing desk from Hanover. 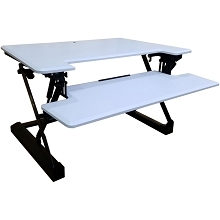 A push of a button is all you need to take your desk from sit to stand with motorized height adjustments. Three legs and a 90 degree bend make this desktop perfect for placement in a corner or in the middle of a room as a makeshift divider. With ample room and weight capacity to support multiple computer monitors as well as other devices and important documents, there's plenty of room for activities! Extended sitting puts more strain on your body than you may think, so give your standing muscles some exercise with Hanover's standing desk series.